This week we are celebrating different modes of transportation! ​I've Scoured the Web to find inspiration so you don't have to! ​f you are looking for some Father's Day activities be sure to check them out here! More ideas for this Theme! Add Transportation Stamps, Pre-made Paper Airplanes, and Stickers (for Decorating) to your Free Art Space. Paint with Boats from Daycare Spaces and Ideas. For this process art activity, simply add a glob of blue paint to the paper and allow the children to "Sail" their plastic boats in the paint. Many children will be traveling this summer. Allow children to become familiar with the airport and ease some of their fears by transforming your Dramatic Play Area into an Airport. You can do this by adding suitcases, backpacks, maps, airplane personnel dress-up items, Travel Magazines, Brochures, and Tickets to your Dramatic Play Space this week. Extra chairs can become passenger seats. Extend the fun by creating a cardboard plane. This adorable pretend Airport found below was created by Daycare Spaces and Ideas Community Member Brenda M. of Sweet Smiles Preschool. was created by ikat bag. 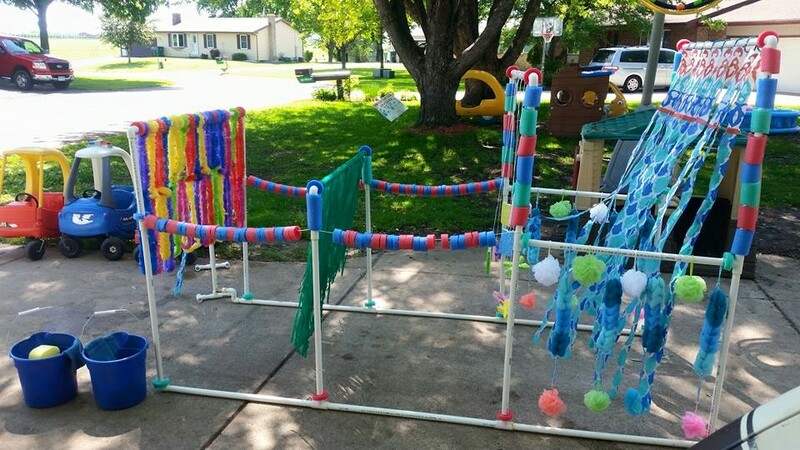 This fun DIY Carwash belongs to Daycare Spaces Community Member Paula's Daycare! 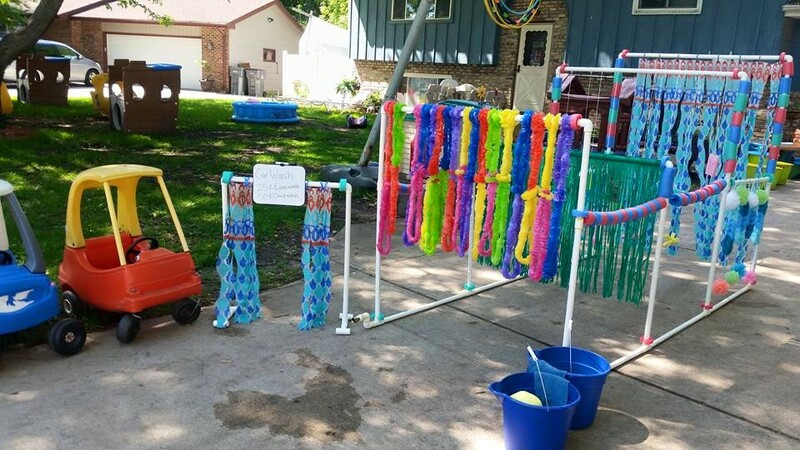 ​She used shower curtains, pool noodles and leis! Add a variety of Transportation vehicles to your Construction Space this week. Include Cars, Trucks, Planes, Trains and Boats. 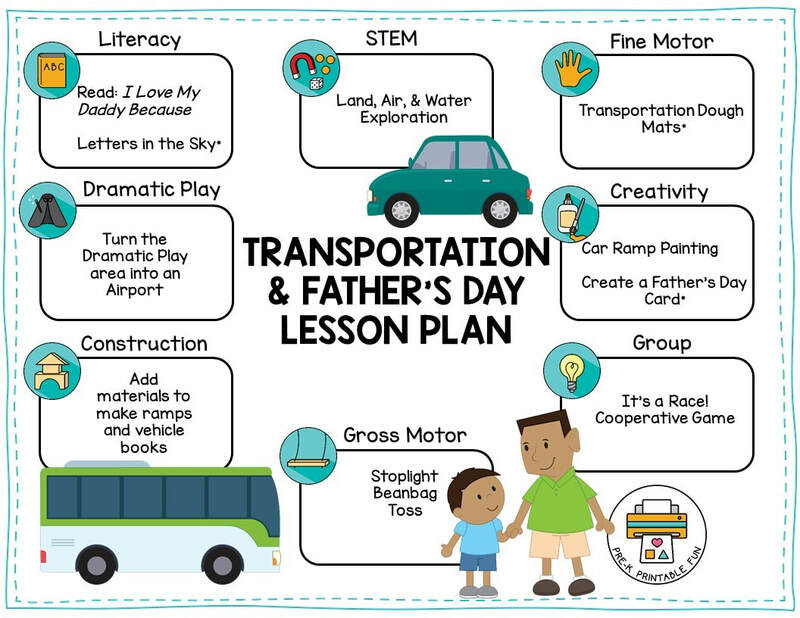 Be sure to encourage literacy by adding books about Traveling, and Vehicles to your space as well. Add Roadways, Signs, and Railroad Tracks. Add a pretend felt Lake for Boats, a Runway for planes.